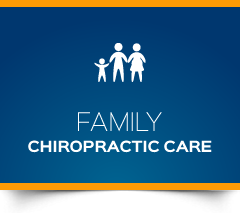 Indy Sports & Family Chiropractic is a progressive, dynamic, state-of-the-art facility that is committed to delivering natural health care. Carmel Chiropractor Dr. Karen Bisesi provides a variety of health solutions to create an individual approach for you. We provide care for everyone from families to those participating in all levels of sports. 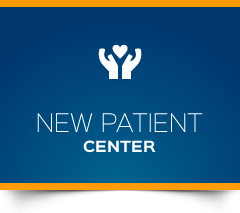 Our mission is to improve your quality of life through corrective and wellness care of the spine and nervous system. We are here to guide you through life’s difficult times, acting as your safety net and informational resource. Whether you’ve just been diagnosed or hurt, or have been battling a chronic problem, Dr. Karen is here to help determine the best approach to help you, whether it be our practice or elsewhere in our community. 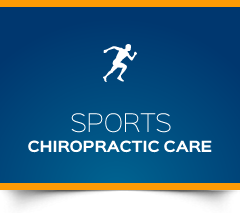 Dr. Karen specializes in care for athletes of all levels, from youth to professional. Our focus on helping you reach your highest levels of performance means you can release your full potential for being a powerful, superior competitor. With three of her own children in sports, Dr. Karen is especially talented at working with adolescent athletes. Proper spinal alignment can prevent degeneration of the spinal joints. Dr. Karen is qualified to not only care for your spine but the entire body, as a Certified Chiropractic Extremity Practitioner (CCEP). She is extremely skilled in thoroughly evaluating, then prescribing the treatment to return you to health as quickly as possible. Whether you have problems in the hip, ankle, knee, shoulder, elbow, wrist or anywhere else in the body, Dr. Karen’s technique will pinpoint the source to ensure proper correction. 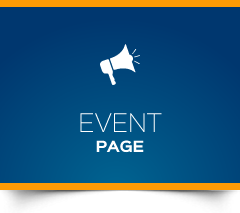 Contact us today to schedule a complimentary consultation with Chiropractor Carmel IN Dr. Karen! We offer same-day appointments and accept insurance coverage. I am so thankful to Dr. Karen for helping me with my neck, shoulder and arm issues and for making me feel valued. I have been given hope that my pain will subside and I will continue to improve. Melody is awesome, too. Everyone is so caring! Very pleased that my friend, recommended Dr. Karen. I am confident that she will be able to help me and that it will be a good experience. Thank you for the professional, compassionate and informative approach to which your office is obviously dedicated. I felt so comfortable and relaxed during my visit and the staff was extremely personable. I look forward to my next visit! I have had one other Chiropractic experience, I was not a fan until now. This office knows what they are doing and how to help you get moving again. The doctors and staff are superb and truly care about their patients. I have always felt that Dr.Karen and the staff were more than caring in their approach.It is always a pleasure to get ‘snapped crackled and popped’ .I have been satisfied for more than 8 years and am now only going for as they say ‘a tune-up’ 3 or 4 times a year…It’s been GREAT. I could barely walk for almost 2 months due to knee injuries. After just 3 visits Dr. Karen and staff have truly exceeded my expectations. Feeling so much better every day thanks to these very knowledgeable, and caring professionals. Wonderful staff and Dr. Karen is friendly, knowledgeable and genuinely wants to help heal the patient. Great environment! Everyone seemed very nice. The competence of the doctor was great. I am very pleased with Indy Sports and Family Chiropractic. For the past 10 years I have been provided with excellent care. I have been going to Dr Karen for years, she is the best.